KidsEBookBestsellers.com: Jessica Park: Flat-Out Bestseller! 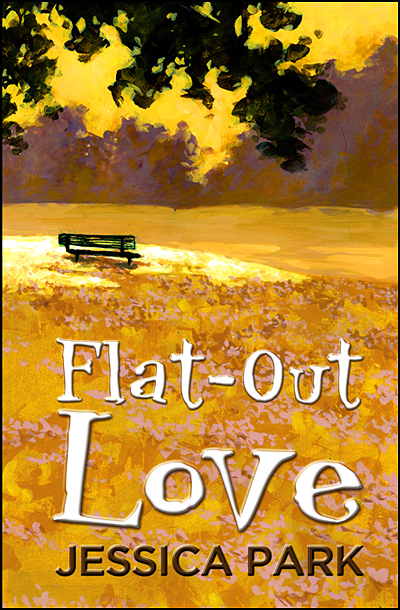 Today we get to hear from Jessica Park, whose book Flat-Out Love has been hovering between the number 4 and 5 spots in Amazon's Children's section since November 12th. That's a super accomplishment, and we get the inside scoop! Welcome, Jessica! First, let's open with a summary of Flat-Out Love. Something is seriously off in the Watkins home. And Julie Seagle, college freshman, small-town Ohio transplant, and the newest resident of this Boston house, is determined to get to the bottom of it. When Julie's off-campus housing falls through, her mother's old college roommate, Erin Watkins, invites her to move in. The parents, Erin and Roger, are welcoming, but emotionally distant and academically driven to eccentric extremes. The middle child, Matt, is an MIT tech geek with a sweet side ... and the social skills of a spool of USB cable. The youngest, Celeste, is a frighteningly bright but freakishly fastidious 13-year-old who hauls around a life-sized cardboard cutout of her oldest brother almost everywhere she goes. I wrote five books in the Gourmet Girl mystery series for Berkley Prime Crime and then switched to self-publishing a few years ago. I've been so happy with self-publishing that I don't have plans to work with a traditional publisher anytime in the near future. As you got into e-publishing, have you discovered any unexpected aspects? Because I self-publish and have control over my pricing, I've been amazed at the volume one can sell. A $3.99 or lower price garners much higher sales than a $7.99 or higher book. People are really willing to give you a chance at a reasonable price. The one downside to e-publishing is the inevitable fact that your book will end up plastered all over illegal file-sharing sites. It's incredibly aggravating. I do what I can to have some links removed, but it could be a full-time job, so I try to keep my irritation in check. I'm a big Facebook and Twitter fan, and both are great ways to get good exposure for Flat-Out Love. Bloggers have been incredible. A month before I released the book, I reached out to as many YA book bloggers as I could and got early e-copies out to the people who were gracious enough to give me a chance. My wonderful book bloggers posted reviews, author information, interviewed me, and more. It was really wonderful. Many also posted their reviews on Amazon and Goodreads, and those reviews have been key to enticing shoppers. Plus, the number of reviews plus my star-rating average gave me good visibility on Top-Rated lists, so Flat-Out Love moved to the top of Romance and Children's charts. You can learn more about Jessica and her book at the Flat-Out Love blog, Facebook page. and by following her on Twitter. Don't forget to hop over to this week's Kids' E-Book Bestseller List. And if you're enjoying the blog, the interviews and the bestseller list, spread the word and tell a friend!